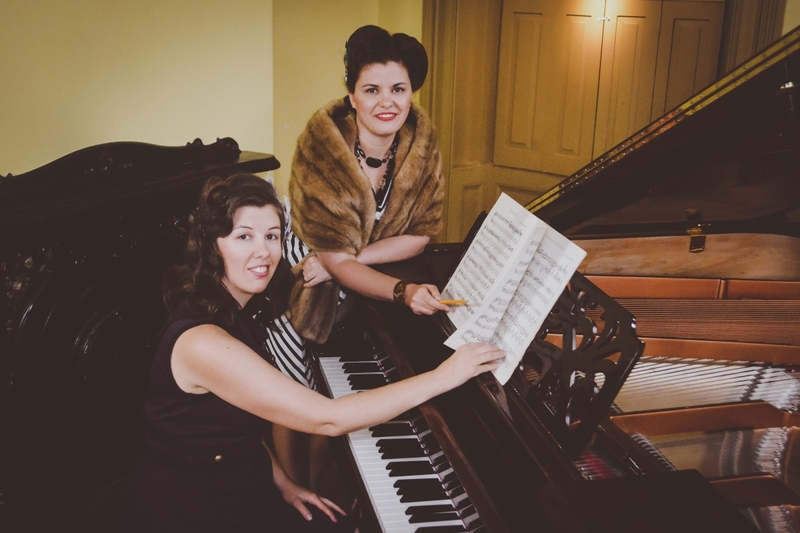 The Tin Pan Darlings are thrilled to present their debut album and silent movie: INSIDE A MELODY. 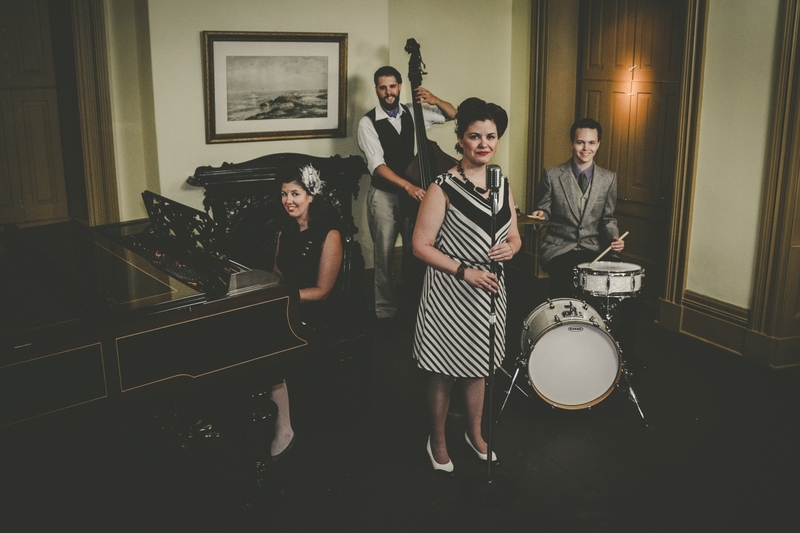 Reminiscent of 1930s era Jazz, the Tin Pan Darlings focus on quirky, story telling music with strong singing in order to swing their way into the hearts of listeners and movie watchers alike! INSIDE A MELODY is a fun and unique project that will transport you to an era of days gone by - full of speakeasies, heartening romance, and colourful characters. Already making a splash on the Maritime music scene, this stand-out, multi-media show is not to be missed! Onstage, singer, composer and bandleader Tracy Anderson channels the vocal stylings of Ella Fitzgerald, and her strong melodies are sure to have you singing along on tracks such as “Whiskey or Wine”, “Your Memory is a Song”, and “String of Pearls”. The movie was written and directed by piano player/musician Amy Anderson, and filmed around parts of New Brunswick and Nova Scotia. The album, produced by storied Halifax jazz musician Bill Stevenson (Easley, Stevenson & Arsenault), serves as the soundtrack to our movie. Audiences are invited to take in the spectacle live at our multi-media performances, where the sister duo is accompanied by Adam Bourque (double bass), Paul St. Amand (trumpet) and Brendan Melchin (drums). 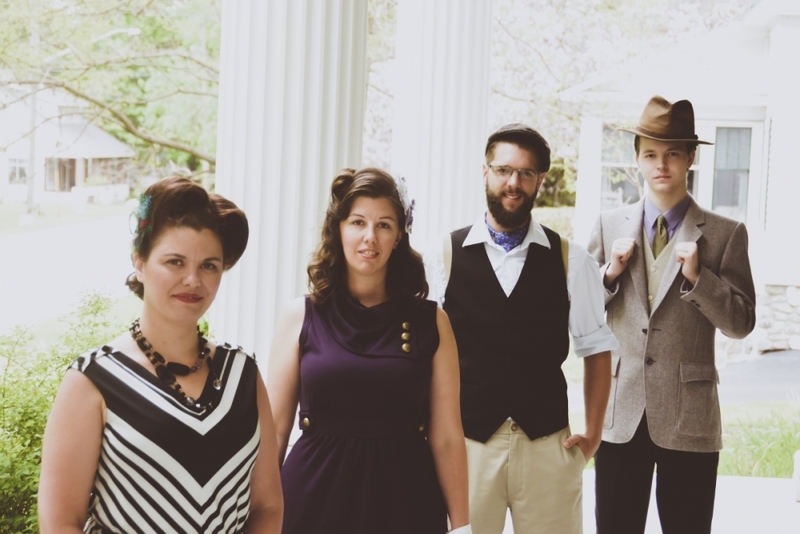 The Tin Pan Darlings are already generating buzz on the maritime music scene, and are playing dates across NB and NS. They have been featured on CBC Shift, East Coast Music Hour, Campus Radio (peaked at no. 7 on !earshot), Telegraph Journal, Grid City, and The East Mag. For more information, please check them out on social media: https:facebook.com/tinpandarlings, https://youtube.com/user/hurtintracy or contact Tracy Anderson directly at tlandrs@hotmail.com . You can also find them on Instagram, Twitter, Bandsintown, and stream their debut album at https://tinpandarlings.bandcamp.com/album/inside-a-melody. 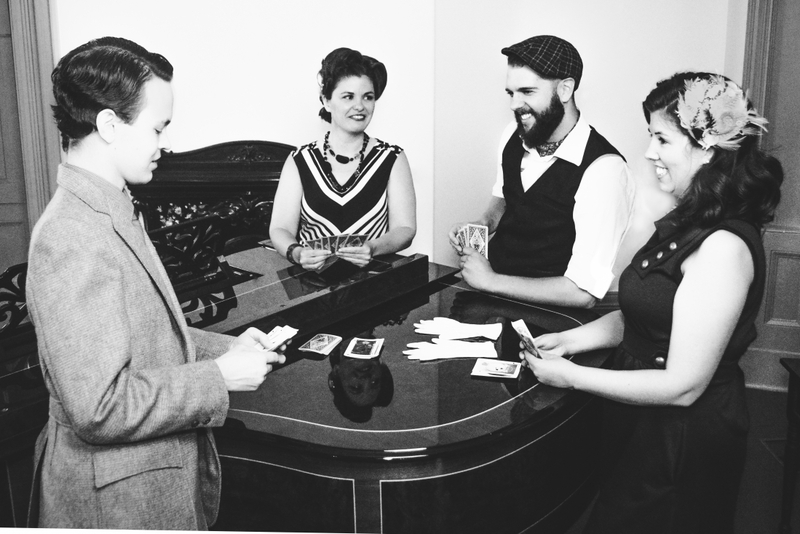 Tin Pan Darlings Tour New Brunswick! 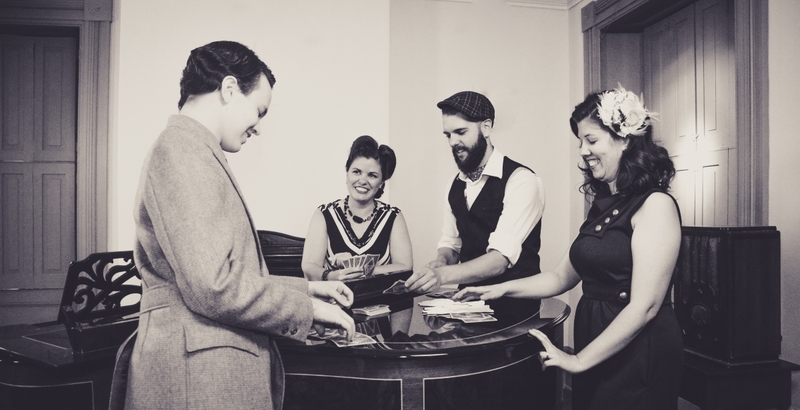 INTRODUCING THE TIN PAN DARLINGS: CD Pre-Order on NOW!